Black chalk, watercolor, white opaque watercolor, pen and brown ink and wash, inscribed with stylus or transfer on laid paper, adhered on decorative mount. Inscribed on old blue mount at lower right, in brown ink, "Jordaens", and in graphite, "120"; at upper left, in graphite, "1543". 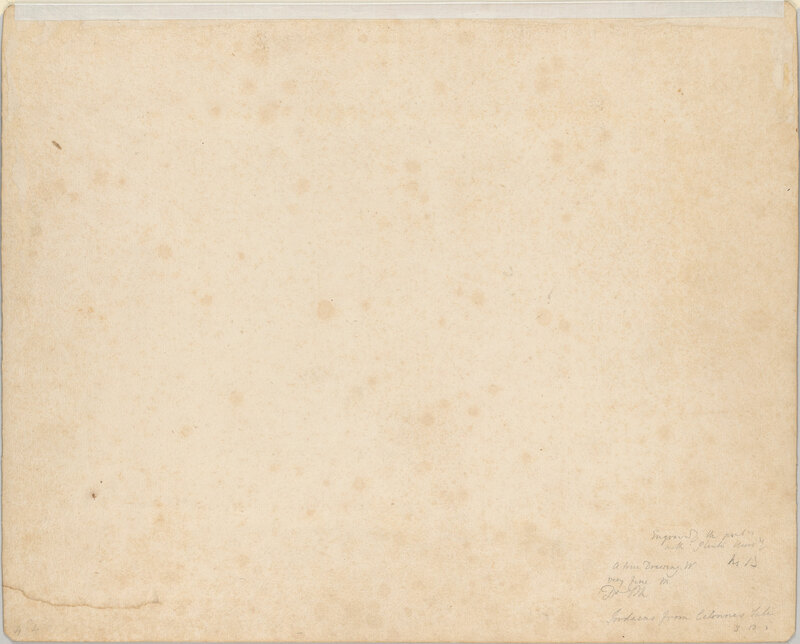 On verso of old mount, at lower right, in three different hands, in graphite, "A true Drawing. W / very fine. 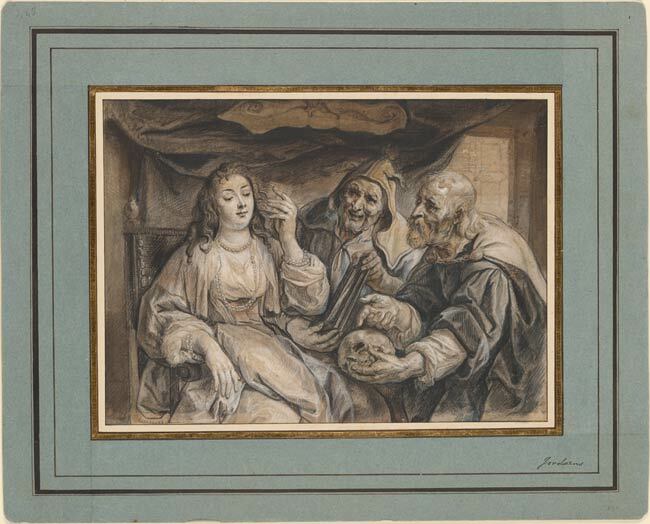 M / Do Ph"; below, in another hand, in graphite, "Jordaens from Calonnes Sale / 3. 13. 6"; above, in Farifax Murray's hand, in graphite, "Engraved-the print is / with Plantin Moretus / No. 13" at upper right, in graphite, "44". James Hazard (no mark; see Lugt 1322); his sale, Brussels, t'Sas, 15 April 1789, lot 82; Charles Alexandre de Calonne; his sale, London, Skinner & Dyke, 23-28 March 1795, probably lot 41 ("Two by Van Dyck and Jordaens") or lot 42 ("One Ditto, by Jordaens, fine"); Henry Temple, second Viscount Palmerston (1739-1802); Henry John Temple, third Viscount Palmerston (1784-1865); probably his stepson, William Francis Cowper-Temple, Baron Mount-Temple (1811-1888); his nephew, the Right Honorable Evelyn Ashley (1836-1907); biographer of second Viscount Palmerston; Ashley's sale (collection of second Viscount Palmerston), London, Christie's, 24 April 1891, one of four by different artists in lot 120 (to Fairfax Murray for £0.12.0); Charles Fairfax Murray (1849-1919), London and Florence; from whom purchased through Galerie Alexandre Imbert, Rome, in 1909 by Pierpont Morgan (1837-1913), New York (no mark; see Lugt 1509); his son, J. P. Morgan, Jr. (1867-1943), New York.